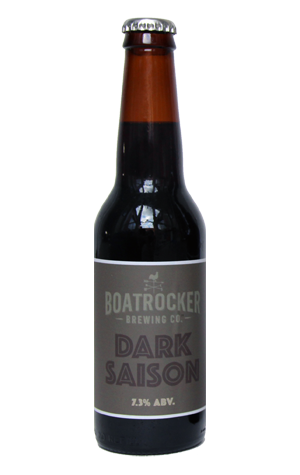 They're getting quite the collection of saison style beers under their belt at Boatrocker, from the now core range Saison Bateau to some sour varieties and now this end of Winter / start of Spring bridging release. It's something of a rarity for the Braeside experimentalists these days too: no barrel was harmed in the making of the Dark Saison. Instead, what we have here is a delicate saison yeast going to work with dark malts, topped off with the addition of some mystery spices. And it's the spices that are the key character. Sure, the dark malts add cacao and mocha to the mix and there's some yeast derived spiciness and dark, cherry like fruits poking through too. But the perfumey, floral and Christmas cake like spices lead the way from start to finish in what's a surprisingly light-bodied beer for its size. As for what the spices are: trade secret, apparently.